On Tuesday, the UK’s Supreme Court will issue its judgment on a case about whether the Government needs Parliament’s permission (most likely in the form of an Act of Parliament) in order to trigger Article 50 of the Treaty of the European Union and begin the process for the UK to leave the EU. The court case included numerous references to an incident in London in the Great War – watch out for the name ‘De Keyser’ in the judgment if you’re inclined to read the whole thing. This is the story of the prominent London hotel of that name during the Great War, which provides a precedent for one of the key principles in the Article 50 case. The Royal Hotel was founded by Joost Constant Fidel Armand de Keyser in 1845 on the Victoria Embankment next to Blackfriar’s Bridge. De Keyser was a Belgian who came to the UK in the 1830s to escape turmoil in Belgium. His son Polydor de Keyser followed him after his initial schooling in Ghent and – after the death of his elder brother – joined the family business. Polydor is often cited as the founder of the hotel, which doesn’t seem to be accurate but perhaps reflects his prominent role both in the history of the hotel and in his adopted city. As president of the Belgian Benevolent Society he promoted the British section at the International Exhibition on Hygiene and Lifesaving, held at Brussels in 1876, for which he was made a knight of the order of St Léopold; he was later raised to commander. He was a founder of the Guildhall School of Music and an early president of its management committee. In the autumn of 1887 he became lord mayor of London, the first Catholic to hold this office since the Reformation… His mayoralty coincided with Queen Victoria’s jubilee and the silver wedding of the prince and princess of Wales. His desire to celebrate this latter event was frustrated by the period of court mourning which followed the deaths of Kaiser Wilhelm I and (shortly afterwards) Friedrich III, though he was later able to present the royal couple with a silver model of the Imperial Institute. He was knighted in December 1888. De Keyser accepted the task of presiding over the organization of the British section at the Paris Universal Exhibition of 1889. His efforts bore fruit; the British exhibitors made a good showing at this very successful event, located close to the brand-new Eiffel Tower, and the French government created him a chevalier of the Légion d’honneur. He was a fellow of the Royal Society of Arts, the Royal Geographical and the Statistical societies, a member of the Loriners’, Butchers’, Innholders’, Poulters’, and Wyre-Drawers’ companies, and held high masonic office. Sir Polydor de Keyser died in 1898 and is buried in Nunhead Cemetery in South London. The hotel lived on under the stewardship of Polydor Weichand de Keyser, the nephew and heir of Polydor and his wife Louise. When war came, the Royal Hotel – which was widely known as de Keyser’s Hotel, was badly hit. From June 1915, the De Keyser Hotel Co Ltd was in the hands of a ‘Receiver and manager’ appointed by the Chancery Court. The misfortune of having a foreign name is exemplified in the case of that old-established institution the De Keyser Hotel, hitherto the favourite haunt of opulent European people of all nationalities. Although the proprietor and founder of this caravanserie was a Belgian and sometime Lord Mayor of London, and although the staff contains no enemy waiters or Germans who have been naturalised, the hotel has suffered to such an extent since the war opened that a receiver and manager has had to be appointed by the Chancery Court. It is understood that a new company has been formed to carry on the business under the auspices of Mr R.C.Vaughan, recently the successful manager of the Grand Pump Room, Bath, and it is hoped that when it becomes known that the hotel is in all respects English in its ownership and managership there may return an era of prosperity such as the hotel formerly enjoyed for so many years. This article hints at the difficulties around nationality and Britishness in the Great War. That a hotel with no ‘enemy’ staff (i.e. citizens of enemy states) and no British staff who had been born a Germans that had been run by the Clapham-born nephew of a former Lord Mayor of London was struggling to convince people that it was British tells us something about problems people and businesses suffered if their names and/or backgrounds were at all Germanic sounding. A name that sounds like the title of the hated German Kaiser must have been particularly unhelpful (the pronunciation of the hotel’s name caused a bit of unusual banter during the Supreme Court case). The De Keyser Hotel story that is particularly pertinent today, is not, however, about the difficulties of running a foreign-sounding hotel in London but about the powers of the Government in wartime. In May 1916, the War Office took over the Hotel to house its growing aeronautics staff – the civil servants supporting the Royal Flying Corps. The Government took over the entire hotel of around 400 rooms – an article about the introduction of British Summertime in 1916 noted that there were 400 clocks in the hotel that would need to be changed by Government clock-winders. This was part of a large-scale take over of buildings and open spaces by the Government, as we have seen before on this blog. The Government’s takeover of de Keyser’s Hotel was not a happy one for either party. In April 1916, the Board of Works and the De Keyser Hotel Co Ltd had been in negotiations over the Government renting the hotel but these came to nothing. On April 29th, the Board wrote to the company that they were recommending that the hotel should be requisitioned under the Defence of the Realm Act 1914 (the notorious and wide-ranging ‘DORA‘) and the company would receive compensation for losses incurred, to be decided by the Defence of the Realm Losses Commission. The company wrote back denying the right of the Government to do this. The company’s Receiver wrote on 5 May “it does not seem to me that the acquisition of this building as offices is necessary for the purpose of securing the public safety or the Defence of the Realm”, which was the phrase used in Defence of the Realm Regulation 2 to allow requisitioning of property. he suggested that a reasonable agreement on terms could be reached, or arbitration used. The Office of Works replied reasserting the right to requisition the hotel under DORA and the Royal Prerogative (the remaining powers of the Crown – exercised by the Government – that have not been superseded or restricted by Acts of Parliament) and the need for the company to apply to the Losses Commission. The company refused to go to the Commission and presented a Petition of Right to the King calling for payment of an annual rent while the Government used the building (£13,520 for the year May 1916-Feb 1917) and asking for “a declaration that your supplicants [the company] are entitled to a fair rent for use and occupation by way of compensation under the Defence Act 1842.” The Attorney General responded for the monarch, reasserting that the DORA powers and Royal Prerogative were sufficient, and compensation scheme was applicable in this case. The company took the case to court. The first judge sided with the Government, saying that the DORA powers were sufficient, but the Appeal Court overturned that decision. The Government then appealed to the House of Lords. In the UK’s unusual constitution, the highest court in the land was the House of Lords – or more accurately the Lords of Appeal in Ordinary, known as the Law Lords, who were appointed to decide important cases (since the Appellate Jurisdiction Act 1876). This was the arrangement until the creation of the modern UK Supreme Court in 2009 – some of the current Supreme Court Justices were Law Lords before they moved across Parliament Square to their current location. In May 1920, the Law Lords decided the case in favour of the company. Essentially, they decided that the acquisition of the hotel by the Government had not taken place under the Defence of the Realm Regulations, which did not permit it. The use of the Losses Commission to pay the hotel’s managers was therefore a use of the Royal Prerogative, which was invalid because there was already legislation in the form of the Defence Act 1842 providing for compensation where property was requisitioned by the Crown. The case helped to establish the extent of prerogative powers. It decided that the Crown could not requisition citizens’ property under the Royal Prerogative without paying compensation. It is also cited as an authority for the key constitutional principle that statute law (passed by Parliament) trumps the Royal Prerogative, meaning that if the Crown used to be able to do something on the basis of the Royal Prerogative but is now has a legal basis to do it under statute, the Prerogative falls into abeyance and cannot be resumed. The Fixed-term Parliaments Act 2011 is an example of this, ending the Crown’s right to dissolve Parliament (by setting out fixed dates for elections and mechanisms for Parliament to call early elections). The ‘Article 50′ case being considered by the Supreme Court touches on the same issue as the de Keyser case. The argument accepted by the High Court was that UK citizens’ rights as EU citizens, conferred by Acts of Parliament, cannot be taken away by use of the Royal Prerogative – i.e. the Government cannot trigger article 50 and therefore remove those rights without a statutory basis for doing so. That (and not whether Brexit should happen) is the gist of the court case. We will find out the Supreme Court’s decision on Tuesday morning. It is not often that a story from London in the Great War has a bearing on 21st century UK politics, but it in this case, De Keyser’s Hotel, its forced acquisition by the Government and the competing arguments about compensation are playing just such a role. What happened to the hotel itself? In 1920, the site was leased by Lever Brothers as their London headquarters. They demolished the old hotel and built Unilever House in 1930, the building that currently stands on that spot. The blog A London Inheritance tells of the demolition and the new building, with a good set of photos. Disclaimer: I know quite a bit about the Great War and about the constitution, but I am not a constitutional lawyer. I am happy to correct any errors in my interpretation of the de Keyser case and the Royal Prerogative. The Great War had a global impact, but it was experienced my millions of individuals, families and communities across the world. By focussing on one street in South London, we can see something of the variety of war experiences. In 1918, all men aged 21 or over and servicemen aged 19 or over were eligible to vote. The register for that year therefore lists (or should list) every man on military service in July 1918, when the register was compiled. Those who were absent on military service were marked with a lower-case ‘a’ next to their name and NM in the ‘qualification’ column (as opposed to HO for home owner and R for resident). Unfortunately, the more restrictive franchise for women means that very few female service personnel are listed. Some boroughs published separate registers listing the military details of those men on war service. Lewisham was one of these boroughs and I have picked Arthurdon Road in Ladywell. The road is opposite the Ladywell entrance to Brockley and Ladywell Cemetery, part of a series of roads with odd names: Phoebeth, Francemary, Maybuth. They were built around the turn of the century (the streets south of Ladywell road are not on the famous and fascinating Booth Poverty maps), so the people living there in the 1910s must have been among the first to occupy Arthurdon Road. There were 148 voters for parliamentary elections registered in Arthurdon Road in 1918 (the local franchise was different, but the general election register is the key one for our purposes). Thirty one men were listed as absent on war service, or 21 %. These were men away on military service aged 19 or older (civilian voters were men over 21, and women over 30 with a property qualification – there were some women on the absent registers but not many, and none on Arthurdon Road). These servicemen of Arthurdon Road were 31 of the 17,589 absent in Lewisham borough, which was smaller then than today with 81,220 voters, meaning that 31.6% were absent on military service. Across London 433,800 were registered absent of 1.96 million voters (male and female), or 22.1%. Harold William Youngs was born in 1889 and married Violet Lillian Bellsham in 1911; their daughter Betty was born in 1913. In January 1917, he joined the Royal Flying Corps and in April he went out to France. In June 1918, he is noted as moving from 16th Balloon Company to 24 Squadron, but he appears later to have returned to ballooning. Sadly, he then died in March 1919 in France, serving with 14th Balloon Section; his death was officially attributed to his own negligence. This did not, however, stop the authorities from awarding him the Military Medal in July 1919. The medal was awarded for bravery in action, but sadly no citation explaining what he had done was published. Arthur Leslie Youngs was two years younger than his brother. He joined up first, though, joining the Royal Army Medical Corps on 1 September 1914, leaving his job as a schoolmaster in Tottenham. He went to the Western Front in May 1915 with the 4th London Field Ambulance and remained there for nearly three years. In August 1916, he was awarded the Military Medal (three years ahead of his ill-fated older brother). He did not get through unscathed, however. On 8 April 1918, he was wounded in the right leg. His medical report states “Bricks from a house fell on him and bruised his right side. Was sea sick coming across [back to the UK] and brought up some blood. States he got some gas several days previously. Piece of metal taken from knee in France”. An x-ray showed there was still shrapnel in his leg. He was eventually discharged in March 1919. 3 – Their neighbour George Douglas Sylvester was a tea buyer born in Brighton in 1884, who lived with his mother and stepfather (in 1911 he was in nearby Tresillian Road). He joined the Royal Naval Air Service in September 1917 and later served in the newly-formed Royal Air Force. He served in Italy from November 1917 with 66 and 67 Wings. He was discharged in 1920. 9 – Harry Hayden Ellis was born in Stepney in 1878 and married Emma Frances Thornbury in 1903. In the 1911 census, he is listed as a journalist. During the war, he served in the 6th Battalion of the London Regiment as a rifleman. He died in 1951. 17 – Henry Emerson Sanderson, a bank clerk who had married in 1909, served in the Royal Naval Volunteer Reserve. He survived the war, but died in 1931. 23 was the home of the Squires brothers, whom we have met before. Alfred Webb Squires was a clerk working for Nestlé before the war and joined Queen Victoria’s Rifles (1/9 Battalion, London Regiment) in August 1914, he went to France in November that year and served there until he was wounded at Gommecourt, where he was a stretcher-bearer during in the fighting on the first day of the Battle of the Somme. He was awarded the Military Medal, possibly for his actions that day. He spent the rest of the war in the UK and got married in 1918. His brother Sidney Charles Squires was already in the Royal Navy in 1914 and served as a sick-bay attendant through the war, on a variety of ships – including one that was involved in a minor way in the Battle of Jutland. Both Squires brothers survived the war. 25 – Their neighbour was Frederick John Bryan Lucas, born in 1874. He does not appear to have married and the other people at number 25 were Wilfred and Katie Kent, so perhaps he was a boarder or relative of theirs. He was commissioned into the Worcestershire Regiment in 1917 but was seconded to the East Yorkshire Regiment. He is listed in the electoral register as a Lieutenant in their 2/4th Battalion, which was then based in Bermuda. 27 – At the next house lived Frank Moorhouse, who lived there with his wife Julia and two children and was working as a traveller (i.e. travelling salesman) when he attested in the Derby Scheme in December 1915 aged 32. He attested the day after his younger child Geoffrey was born. In June 1916, he joined the Royal Garrison Artillery, before transferring to the Military Foot Police, with whom he served in France from May/June 1917 and became a Lance Corporal. He served on the Western Front from May 1917 until he was discharged from the army in September 1919. 35 – Charles Bray served in the RAF, having joined the RFC in Jan 1916 when he was a student aged 18. He served as a wireless operator and was in France from May 1917 to March 1919, when he was demobilised. 49 – Frederick George Hunt was another RAF man. He was born in 1880 in Rotherhithe and worked as a clerk before joining the Royal Naval Air Service in April 1916. He doesn’t seem to have served abroad. In the electoral register, he is described as serving in Group 5, No 1 Area, RAF. 55 – Completing the odd side of the road is Reginald Thomas Wilding, who was born in Dulwich in 1898 and lived in New Cross in 1911. During the war, he served in the Ammunition Column for 57th Brigade, Royal Field Artillery. He served in France from 4 October 1915. He survived the war and died in 1969. 12 – On the opposite side of the road William Francis Halfpenny is the first entry at number 12. He was born in 1883 in Walworth and worked as a carpenter and joiner before he joined the Royal Navy in September 1916. He served on a number of ships, including HMS Greenwich. In September 1917, he distinguished himself by his behaviour when HMS Contest was sunk (sadly, the details of his behaviour are not recorded). He was demobilised in early 1919. He died in Lewisham in 1954. 14 – The Halfpennys neighbours included George Sidney Bird and his parents George William and Sophia Emma Bird. George junior was born in a clerk, in 1911 he worked for the Royal Arsenal in Woolwich, but when he joined up in November 1915, he was working for St John’s School, Wellington Street, Woolwich – and the school promised to top up his army pay to the level of his civilian pay. Bird joined the Queen’s Westminster Rifles (16th Londons) on 10 November 1915; he was sent to the Western Front in June 1916 and joined the unit a week into the Battle of the Somme. A year later, Bird was wounded in the thigh and was away from the unit until early October. Soon after that, he was allowed home for ten days to get married to a Sydenham woman named Lilian on October 24th. He was in action again at the start of the German Spring Offensive in 1918 where he was badly gassed on 22 March, as a result of which he was sent back to England at the start of April and remained in the UK for the rest of the war. He was sent out to France again on 20 November but returned to be demobilised in January 1919. 16 – The next household included two servicemen, the youngest of the seven children of Mary Rebecca Gooding and her late husband Charles: Horace Rason Gooding was born in 1889 and was a gas fitter; he served in the Army Service Corps – the register lists his unit as 3rd DMT (District Mounted Troops) Company. Thomas Edgar Gooding managed to serve in both the army and the navy. He was an 18 year old clerk at the Home and Colonial Stores when he signed up for the 21st London Regiment (First Surrey Rifles) in 1909. He remained in this territorial unit through to its mobilisation in 1914. In March 1915, he went to France with them and served out the rest of his contractual period in the battalion before being sent home in January 1916 and leaving the army the February. A year later, he joined the Royal Navy and served out the rest of the war on various ships including NHS Devonshire. 18 – There were three voters registered at number 18. Two were a couple Richard John Walsh and Elizabeth Martha Walsh, who had married in 1902 and had at least three children (three are listed on their census return for 1911). Richard was from Bermondsey and worked as a jewellery buyer for a general store in 1911; he served in the Royal Field Artillery as a gunner during the war. The third voter was Frank Ernest Lancaster, who was serving in the Royal Marines Light Infantry, having joined up in 1901. He was born in 1879 in Walthamstow and worked as a slater for Walthamstow Council, taking after his father who had the same job for London Country Council (Walthamstow was then in Essex). Quite why he ended up being being registered at the Walshes’ house – did he know them? Had to lived there at some point earlier in the war? I simply don’t know. 20 – William Albert B. Thornbury was another Arthurdon Road man serving in the London regiment. He was born in Forest Hill in 1898; in 1911 he was a schoolboy living in Honor Oak Park. During the war he joined the London Regiment – I don’t know when, but he was serving before 1917 and in 1918 was in the 6th Londons and ended up as a Corporal. He married Dora Brightwell in Sussex in 1926 and they had at least one child (a son, Hugh was born in 1931), but William died in 1936. 26 – Edward Richard Pettitt was a shipping clerk and enlisted in the London Regiment on 17 April 1917, having already registered with them before his 18th birthday. He later served in the Royal Engineers as a switchboard operator and was discharged in 1919, having served only in the UK. 28 – Herbert Thomas Barnes was born in November 1879 and worked as a “handicraft instructor” for London County Council. He lived at number 28 with his wife Ellen. He joined the Royal Naval Air Service on 2 June 1916 and was absorbed with it in into the RAF in 1918, with whom he served until his demobilisation in February 1919. 32 – Charles Edward Calnan was a Sergeant in the Royal Field Artillery, but I have not been able to find out any more information about his military service. There was a Charles Edward Calnan living in Rotherhithe in 1911, a shorthand typist born in the area in 1890, who died in 1977. Perhaps that was this Arthurdon Road man. 36 – Albert George Maxted (or Manstead) was a theatre manager in 1911. His war service is neatly summed up in the National Roll of the Great War: “He joined in February 1917, and in the following year went to France, where he was engaged with the Cinema Section of the RASC, entertaining the troops in the forward areas.” He ended up as a Sergeant and was discharged in February 1920. He lived another 50 years and died in September 1970. 38 – Lawrence Sydney Pudney was born near Sittingborne in Kent, but lived in South East London before the war. He was married to Marian Bowes in 1912 and was a teacher employed by London County Council when he enlisted in the Royal Engineers in 1916. He served in France for 9 months and left the army in 1919. He lived until 1978. 40 – Bookbinder’s overseer Richard Nathaniel Lamb and his wife Lilian were registered at number 40, with Richard absent in the RAF. Initially, though, he was an orderly working with the British Red Cross, having previously been a territorial member of the RAMC. He went to France in May 1915 and rose to the rank of sergeant-major, working at the Anglo-American Hospital at Wimereux. Then in July 1917 he applied for a commission in the Royal Flying Corps. He became an officer in November that year and served through to 1919 as a Lieutenant in the new Royal Air Force, but doesn’t appear to have gone out to the front with them. 44 – Another RAF man lived a few doors down: John Sinclair Jenkins, a civil servant from Peckham who had joined the RNAS as a carpenter in November 1915 aged 29, served in France from June 1916 and by 1918 was a Corporal, serving with number 217 Squadron RAF. 48 – Frederick Kitchenmaster served as a Sergeant in the 4th (Ross Highland) Battalion of the Seaforth Highlanders. He was killed in action on 21 March 1918, the first day of the last great German Offensive on the Western Front. He is commemorated on the Arras Memorial, meaning that he has no known grave; given that this was months before the register was compiled, one must assume that his family did not know of his fate in the summer of 1918 – months after his death. 52 – Harry George Kennedy appears to have served twice. Originally a private in the 20th London Regiment (Blackheath and Woolwich Battalion), having enlisted on 3 September 1915 he served on the Western Front for exactly six months in 1915. He then suffered from elipeptic fits, which had happened before the war. He was discharged in December 1915, but seems to have rejoined and served in the Labour Corps. On the electoral register he is listed as serving in the Officers’ Mess, 16th Corps HQ. 54 – Victor Robert Stotesbury was born in Greenwich in 1888 and grew up in Deptford; before the war he was a house decorator. He served as a gunner in 189th Siege Battery, Royal Garrison Artillery and survived the war. He lived until 1979. 60 – Percy Edward George Farrow is listed as a corporal in a Royal Engineers Anti-Aircraft unit (service no 563779), but I have not been able to find any more information about his military career. He appears to have been a library assistant, who was born in Chelsea in 1880 and died in 1968. 68 – Walter Herbert Victor Badger was born in 1883 and in 1911 lived in Ladywell, on Wearside Road, working as a gas company’s representative traveller. In 1916, giving his occupation as “outdoor inspector” he joined the RNAS, later becoming an RAF aircraftman, serving in Kingsnorth, Kent (the airfield was where the power station is now), as a fitter. As with any attempt to list service personnel from a particular place, the list is imperfect. For one thing, the names were provided by the head of the household, potentially meaning that men who had moved away before the war were listed because they had no other address even if they had left home already. 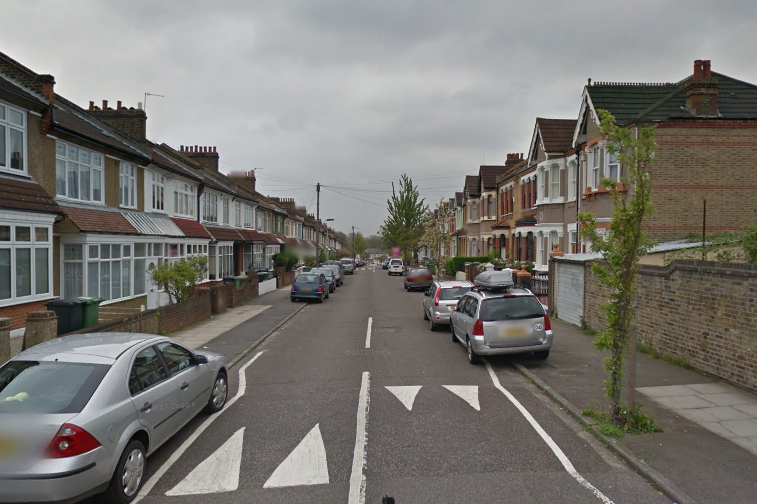 For example, both Youngs brothers gave addresses on Whitehorse Lane, South Norwood in their files at the end of the war. In addition, those men who were reported missing but who had died or whose deaths had not yet been reported would have been listed (like Sgt Kitchenmaster). On the other hand, men who had already been discharged or died were not listed as absent voters, so it is far from a full list. The service dates of those whose information I have been able to uncover may suggest that there were some others who joined up earlier but died or were discharged. Three were already serving before the war (one of them as a part-time Territorial soldier), two joined up in 1914, three in 1915, seven in 1916 and five in 1917. Overall there was a broadly-even split in recruiting between those who joined the Army between August 1914 and December 1914 (as volunteers) and those who were called up in 1916-1918, having attested under the Derby Scheme or been conscripted. In this record of Arthurdon Road, those joining up in 1916-17 far outnumber those from 1914-15. This suggests either that the street was quite unusual in its pattern of enlistment, or that earlier recruits had been killed or discharged – or possibly both. Unfortunately, it is hard to identify which young men living in Arthurdon Road had died or been discharged before the summer of 1918. One of the war dead associated with Arthurdon Road was Sydney William Batchelor – the only entry on the CWGC database with the street listed in his details. He enlisted in Chelsea and served in the Royal Army Medical Corps. He died of wounds in 1918 while serving with the 1st/3rd (North Midland) Field Ambulance, and was buried in a cemetery at Etaples. His parents are listed by CWGC as living at 48 Arthurdon Road, possibly meaning that between the summer of 1918 and the return of the Commission’s information form, Nellie Kitchenmaster had moved out and Mr and Mrs Batchelor had moved in. It is not a complete list, but hopefully this blog post gives some sense of the range of things that Londoners did during the war. And this is only among the military roles that men played, and it doesn’t include the service or work undertaken by women. Two served in the Army Service Corps;And the other others served in other infantry units, the Military Police and the Labour Corps. Arthurdon Road was probably no different to other roads in the area, or many other areas of the country. There was no dominant industry that kept men out of the forces – or pushed them into it through unemployment. Men from Arthurdon Road served around the world – but primarily on the Western Front or at sea. Among them were heroes, decorated for their bravery. I hope that by highlighting some of their stories, I have shown some of the variety of experiences Londoners had in the armed forces during the Great War. As they do today, local newspapers during the Great War liked to run stories of bravery by local people. In 1916, the Middlesex Chronicle told the story of Charles William Jordan’s bravery under fire when he rescued comrade Frederick Moles. Moles and Jordan were both young men who had joined their local Territorial battalion – the 8th Battalion of the Middlesex Regiment – in the years before the war. They were called up on 5 August 1914. The battalion proceeded to France in September. Both men saw action in 1915, were wounded and sent back to the UK. By early 1916 they were both back with the battalion, serving in “B” Company, which the press describe was the Brentford Company. Frederick Moles was born in Chiswick in 1894, the son of Eliza Moles and her farm labourer husband Edward. He was the eldest of the couple’s eight surviving children – they had four more sons and three daughters. In May 1913, 18 year old Frederick – working as a van boy in Ealing – joined the 8th Middlesex as a private. After returning to the front after being wounded in 1915, he got into trouble in his unit, being punished with 3 days of Field Punishment No 2 (and 5 days suspension of pay) in June and 10 days of Field Punishment No 1 (the infamous ‘crucifixion’) in mid-November, both the offence of ‘misconduct’. Charles William Jordan was born in Brentford in 1893, son of Thames lighterman Thomas Jordan and his second wife Mary. Charles was their eldest child and became a doctor’s assistant, his elder half-brother John followed their father as a lighterman. In November 1912, he joined the 8th Battalion. Although the available records don’t say so, it is fair to assume that he also went to France with the battalion in September 1914. In early 1915, he was hit in the head by both a bullet and a piece of shrapnel, after which he spent several months in hospital. He then returned to the front and was promoted to Corporal. Unfortunately, we can’t know who the poor civilian girl was. But we do know what happened to Private Moles and Corporal Jordan. At the end of his letter, Jordan comments that he had been recommended for a medal for his bravery on the 22nd and on other occasions. Presumably this for the Distinguished Conduct Medal, since he comments “As I daresay you know, Sergt. Titcombe has just got his D.C.M. after waiting nine months for it. I hope I don’t have to wait as long for mine.” He was subsequently given a commendation from the commander of 8 Division (which the 8th Middlesex before joining the London Division in February 1916), which was then sent home and displayed in the window of the Globe Portrait Company in Brentford High Street.” Photographic studios often had displays of war-related photos and ephemera, as did some newspaper offices. Jordan did not get the DCM he appears to have expected, but he was promoted to Sergeant and was awarded the Military Medal later in the year (presumably for his actions on and around 22 January, but possibly for later actions). He was later transferred to the Essex Regiment and left the army in 1919. He died in Brentford in 1934. Sadly, things did not go well for the man he saved in January 1916, who had a severe shrapnel wound in his buttock. Moles was sent to 26th Field Ambulance (attached to 8th Division) and then on to No 2 Casualty Clearing Station at Bailleul. On 28 January, he was operated on at an Australian Hospital at Boulogne (probably No 2 Australian General Hospital) – doctors removed two pieces of shrapnel from his wound. On 9 February, he arrived at No 1 Reading War Hospital, based in then aptly named Battle Hospital. On 6 March, he suffered from a secondary haemorrhage from his gluteal artery, which was ended by medical staff applying pressure to his wound. A month later more ‘foreign bodies’ were removed from his wounds. On 12 April, he suffered another haemorrhage, which was temporarily kept at bay but recurred two days later, after which staff gave him stimulants, a saline infusion and transfusion, but to no avail – Frederick Moles died at the age of 22. He was buried soon afterwards in South Ealing cemetery. Such stories of bravery and of young lives cruelly ended abound in wartime. Sadly, Charles William Jordan’s bravery in January 1916 did not ultimately save the life of his comrade Fred Moles; nor could the skills of nurses and doctors at the Reading War Hospital.